There just is not really anything elegant, attractive and functional than a glass entry door straight from GlassWorks. We are highly regarded for having available an exceptional selection of glass exterior doors, glass double doors, glass entry doors and glass front doors. GlassWorks has been fulfilling the glass door needs of valuable customers through the Greater Chicago Metropolitan Area with award winning customer service for practically 40-years. Moreover, GlassWorks now has the capability to ship its outstanding glass door products to customers across the United States, Hawaii, Alaska and Puerto Rico. Broadly identified as the best growing glass company that’s based right in the Midwest, GlassWorks is a nationally acknowledged glass specialist. On top of that, we are also a company you can rely on to accomplish the finest pertaining to putting in the greatest glass doors for its clientele. It comes as no surprise that residents of Evanston consider us to be a name they can believe in, with over 4,000 totally pleased customers yearly, and we are also regarded as a repeat Angie’s List award recipient! Evanston, Illinois is a suburban city situated within Cook County with about 75,000 residents. Glenview is where you can discover the home of GlassWorks and is easily placed just about 6.4 miles northwest of Evanston. Plenty of our faithful clientele in Evanston imagine us as their one and only place in Chicagoland for the very best glass exterior doors. 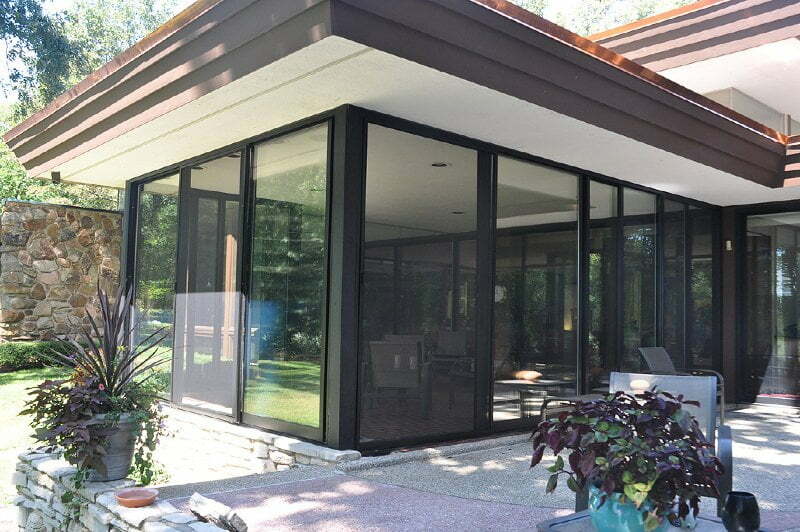 Our Evanston customers possess a devoted team of personnel from sales persons to project managers, fabricators and installers who are focused to supplying your glass door specifications. We are well-known for developing, fabricating and installing the finest glass doors and other glass products for our clientele in Evanston that are constructed to the maximum specifications in the field. We not only supply a number of the most extraordinary glass double doors and glass entry doors for residents in Lake Forest, but in the spring of 2014, GlassWorks got a request of a lifetime. GlassWorks was given an invite to 1600 Pennsylvania Avenue, commonly called the residence of the First Family, to style, fabricate and set up a display to be used in the White House. Consequently, we are now capable of add another name of a fulfilled, and known, client to our number of a lot of pleased clients! Further, GlassWorks is a regarded leader in architectural glass. For that reason, why would anyone ever consider going anywhere else for their glass exterior doors? You always can have faith in our exceptional project managers and fabricators to not only fulfill your anticipations, but GlassWorks will in all likelihood go beyond your expectations! Regardless if you are thinking about the inclusion of a glass front door, a glass exterior door, glass double doors or glass entry doors, GlassWorks can take care of it for you both expeditiously and inexpensively! For even more information about a glass door right from GlassWorks, contact us right now at (847) 729-5580 (North), (630) 355-6363 (West/South), (312) 337-2300 (Chicago) or (866) 452-7925 (Nationwide). We will offer you a one-year warranty on each of our glass products and installation, in addition to the manufacturers’ warranties.